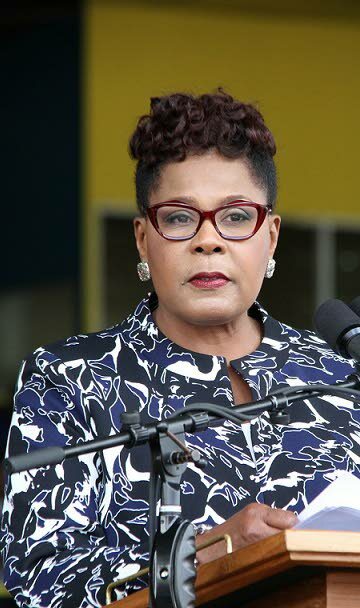 PRESIDENT Paula Mae-Weekes told San Fernandians who toasted her at City Hall last Thursday, that as they prepare to celebrate the 30th anniversary of city status, they need to take stock of their achievements, purpose, and direction. The President noted the city has not escaped delinquency, drug abuse, domestic violence, homelessness, undocumented migration, the scourge of crime and other ills which beset the entire nation. She asked San Fernando Mayor Junia Regrello and citizens about the plan for the city, which has grown into adulthood. Regrello, who welcomed the President with a cultural show put on by the Southernaires Choir led by Joy Caesar and CAL Skiffle Bunch, boasted that the city would lead the next evolution of TT. “Our city represents the hope of our nation for tomorrow, the potential to evolve, to create and carve its own destiny, with a proven track record, time, and time again.,” he said. The President who arrived almost two hours later because of a sinkhole on the southbound lane of the Solomon Hochoy Highway, said this was her third visit to San Fernando in the five months she has been in office. The sinkhole has since been repaired. Describing herself as the “quintessential town girl” before 1986, the president, who worked in San Fernando as a member of the legal profession, said the city’s "old-world courtesies," so graciously extended to her in the past and replicated on Thursday, had not changed. She said the land and resources of the south have also literally and figuratively fuelled the economy. “All of the foregoing makes the southland well-positioned to be a driving force for the improvement and development of our society. “So, this year marks the city of San Fernando's 30th year, having attained city status on November 18, 1988. You are beyond mere adulthood and now at the sobering point at which greater accountability and responsibility is expected, and at the age to take stock of one's achievements, purpose and direction. She observed the motto of the city corporation is Sanitas Fortis, which is interpreted as meaning "In a Healthy Environment We Will Find Strength," and pondered whether this might be a rallying cry from which individuals and organisations could take their direction. Reply to "President: Sando must take stock"